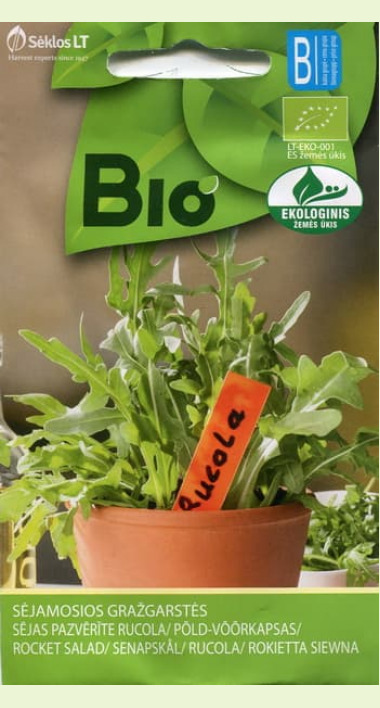 Italian Wild Arugula, Sylvetta, yellow, robust and aromatic cultivar with strongly pinnatifid dark-green foliage, perennial, culinary herb. Eng. : Perennial Wallrocket, Sand Mustard, Sand Rocket. Suom. : Villirukola, Isohietasinappi. Sven. : Sandsenap, Italiensk rucolasallat, Vild Ruccola.